The college success skills you need at a pocket-friendly price. 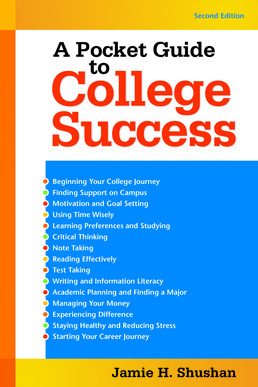 In a handy, affordable format, A Pocket Guide to College Success offers practical coverage of the skills you need to survive and thrive on your journey—from your first day of college to graduation and beyond. This new edition will help you make the transition to college, stay motivated, and set goals, as well as ask the right questions of the right people. This book is designed to help you drive your own success by regularly reflecting on your experiences, developing new skills, and creating a strong college support system.